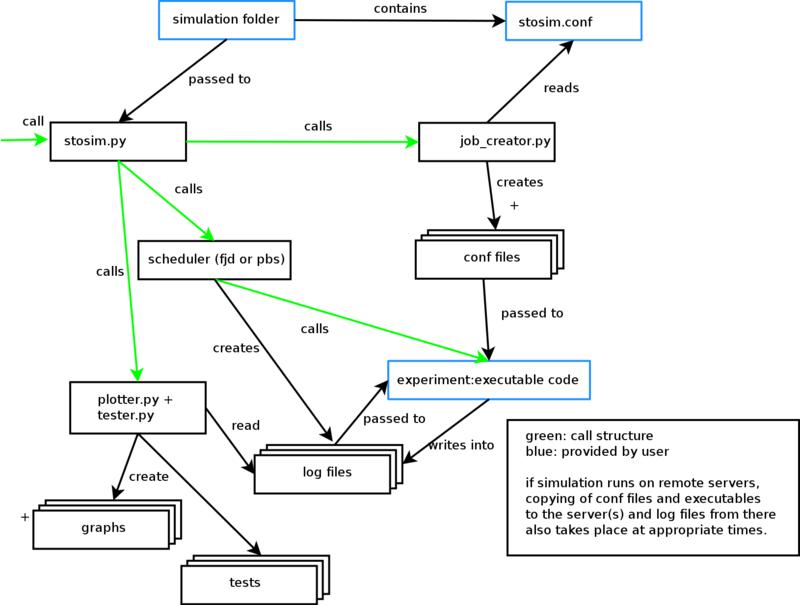 StoSim is configured by one configuration file which is expected to be found in your simulation folder. It is given an entry point to run an actual executable. StoSim wants control over log files (to use them later), so it creates them and tells the executable where to write log data to. The log files are then later used by StoSim to produce figures and tests.